Speed up your Windows XP Speed while using File Explorer just by following some simple steps. No need of any software, no need to download any file. 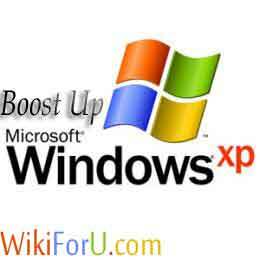 Just follow the This simple trick and you can Boost up Windows XP's Speed.This trick very simple and everyone can do it. On the Top Menu bar, click on Tools-> Folder Options. Now move to tab View. UnCheck "Automatically search for network folders/"
Now Hit Apply and then click on OK.
Now Restart your PC and you have done. Now your window will work fast.